I just finished another book. I made this on using a heavier, hand made paper for the text block so the edges of the pages are very deckled but I was pleased with the contrast between the cover paper and the inner cover paper. I wasn’t sure it would work but it looks really nice. Wow.. impressive. I love it. Do you use it for yourself or do you give it as a gift? I am always either finding fault with the stuff I make, beit books or calligraphy, or I fall in love with it and can’t bear to part with it! I have had some commissions but I always photograph them so I can remember them. They are like my babies! the books look great! i am also a bookmaker and am always looking for new techniques. 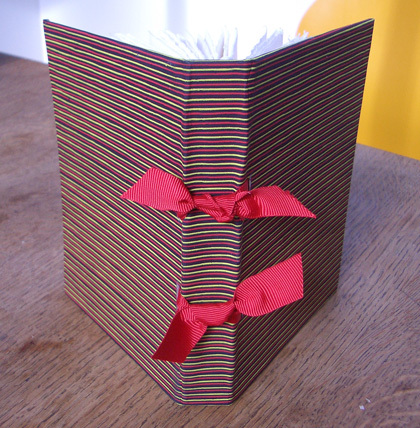 do you know of any tutorials or online resources for this style of bookmaking? If you check out the Cailun link on my page it will take you to a blog and web site that has lots of great ideas and techniques. 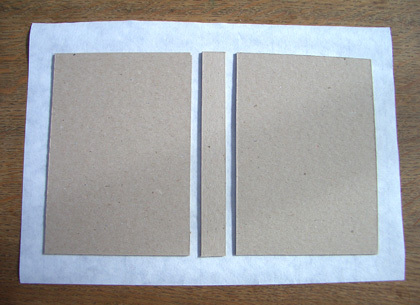 I also use a book called ‘Non Adhesive Binding – Books without Paste or Glue’ by Keith A. Smith which is very good indeed. You can get it on Amazon. 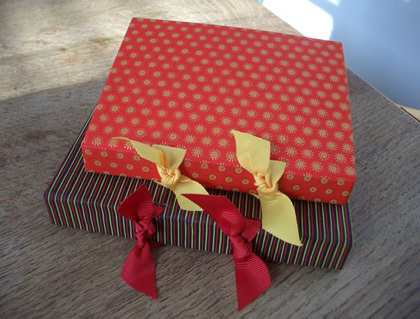 Hello Diane, i really loved the book binding hobby of yours. And i am pretty impressed :-) I would like to make one for myself at home, a cute and colourful book just like one of yours and would like to learn how to make a book in detail. Can you guide me please? I would like to make one for myself, just like yours, this one preferably- https://dianealdred.com/2007/07/29/somewhere-over-the-rainbow/ , You can contact me and help me out by mailing me at my email address. 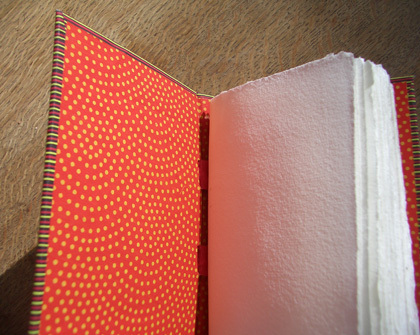 I would like to know how to make a book from the scratch, and will be very pleased if you help me :-) Thanks. Mona, I am so glad you like the books. I am happy to help but I must admit that coptic stitching is easier to do than explain – and the rainbow book you like is coptic stitching using two needles which is even MORE complicated and I’m not even sure I did it properly! I will see if I can write some instructions for you and e-mail them to you. If you read the comment above yours, then you will see I recommend a book which is where I learned to do this stitching. Also check out Cailun.info. in my links on the right.